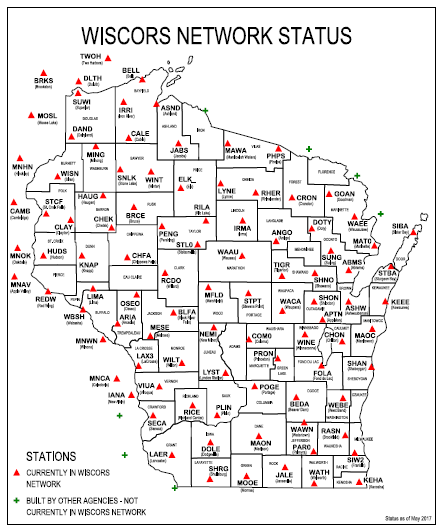 The WisDOT Geodetic Survey Unit has developed a Wisconsin Continuously Operating Reference Stations (WISCORS) Network consisting of permanent GPS sites, which provide real-time correctors to mobile users. Mobile users properly equipped to take advantage of these correctors can survey in the field to the 2-cm accuracy level in real-time. The program is being partnered with state and local governments, federal agencies, and educational institutions.